This month our monthly webinar series returned with “Impact of Emerging Technologies on Complete Streets”. To learn more, view the recording of the webinar above, download the PDF of the presentation, or read the full recap below. This month we closed out the first half of our monthly webinar series with “Greening the Streetscape: Complete Streets & Stormwater Management.” To learn more, view the recording of the webinar above, download the PDF of the presentation, or read the full recap below. On June 29 we hosted “Rethinking First & Last Mile: Transit-Driven Complete Streets”, the fifth installment in our monthly webinar series, Implementation & Equity 201: The Path Forward to Complete Streets. A recording of the webinar is now available above. You can also download the PDF of the presentation, or read the brief recap below. The National Complete Streets Coalition is excited to continue our monthly webinar series, designed to help professionals from a variety of disciplines put Complete Streets principles into action. Implementation & Equity 201: The Path Forward to Complete Streets is exploring a new issue each month related to creating safer, healthier, more equitable streets. Our next webinar will be Greening the Streetscape: Complete Streets & Stormwater Management, taking place on Monday, July 10th from 1:00-2:00 PM EDT. Co-host NACTO will join the Coalition in answering questions such as: How can transportation projects be designed to benefit the environment, promote public health, and manage stormwater, all while creating vibrant, attractive, walkable places? And what innovative strategies are cities around the country using to make their streets safer and more resilient? Last month we hosted “Making the Most of Main Street: Complete Streets & Walkable Communities”, the fourth installment in our monthly webinar series, Implementation & Equity 201: The Path Forward to Complete Streets. A recording of the webinar is now available above. You can also download the PDF of the presentation, or read the brief recap below. Our next webinar in the series, Rethinking First & Last Mile: Transit-Driven Complete Streets will take place on Thursday, June 29, 2017 from 1:00-2:00 PM EDT. Speakers from Michael Baker International and the American Public Transportation Association will join the Coalition in answering questions such as: How can transit-driven Complete Streets provide vital connections to address the first/mile last mile problem? And how can transit agencies take on a more active role in Complete Streets design and implementation? This webinar will explore examples of how the Jacksonville Transportation Authority leveraged its transit system redesign to promote improved connectivity through Complete Streets. Speakers will rethink the concept of first mile/last mile on a granular scale, exploring what kinds of infrastructure are needed to provide safe, convenient transportation choices for transit-dependent communities. Registration is now open—we hope you’ll be able to join us. 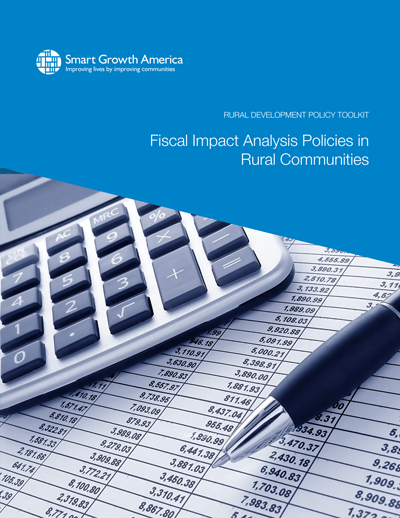 In late April Smart Growth America released three new toolkits for smart growth in rural places. 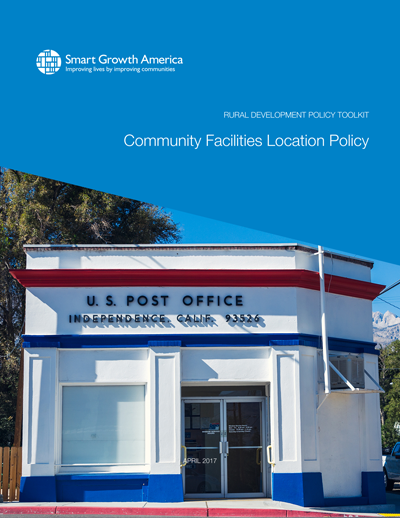 Our Community Facilities Location toolkit helps communities make the most of new facilities like hospitals or post offices. 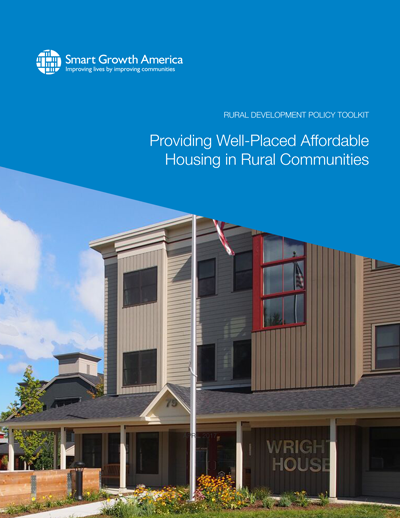 Our Well-Placed Affordable Housing toolkit looks at creating centrally located housing infrastructure. 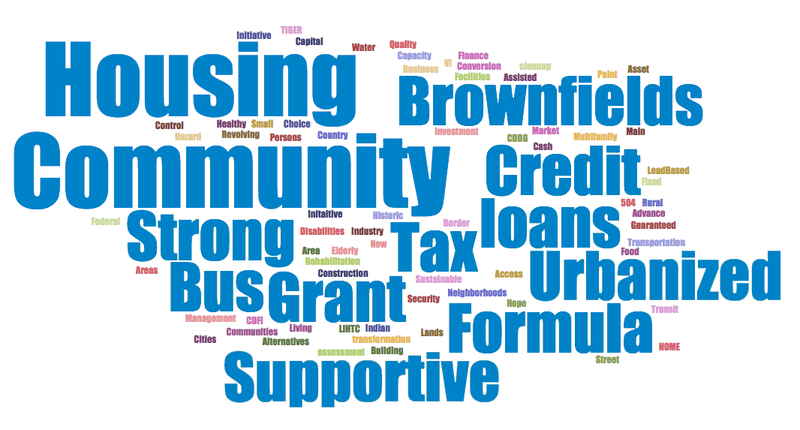 And our Fiscal Impact Analysis toolkit looks at how local government can better understand the long-term financial implications of decisions about new development. Last week we hosted the third installment in our monthly webinar series, Implementation & Equity 201: The Path Forward to Complete Streets. The webinar focused on “Integrating Complete Streets, Vision Zero, and Transportation Equity” and featured speakers from Memphis, Tennessee. Watch the full video recording of the webinar above, or download the PDF of the presentation. Emiko Atherton, Director of the National Complete Streets Coalition, kicked off the webinar by highlighting the opportunity for Complete Streets and Vision Zero to work together in pursuit of transportation equity. She presented findings from Dangerous by Design 2016, including that 46,149 people were struck and killed by cars while walking between 2005 and 2014, and that people of color and people age 65 or older are overrepresented among those deaths. Byron Rushing, President of the Association of Pedestrian and Bicycle Professionals and Bicycle & Pedestrian Planner at the Atlanta Regional Commission, emphasized the importance of planning for both safety and equity simultaneously by combining Complete Streets strategies with a Vision Zero approach.